We’re nearly three weeks away from Tucson’s largest literary event! The Tucson Festival of Books is one of the largest literary festivals in the country, regularly drawing more than 300 authors from across the U.S. and more than 135,000 attendees. 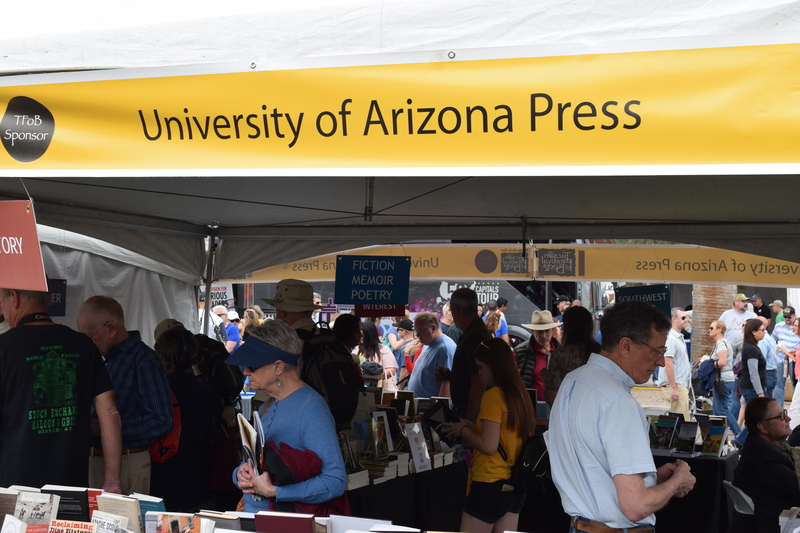 The University of Arizona Press is proud to have been a part of the Festival since its inception in 2009, and we look forward to continuing to bring diverse voices in literature to the Old Pueblo. We are thrilled to have more than twenty authors participating in this year’s festival. Stop by our booth for special discounts, to meet our authors, and to get your University of Arizona Press books signed. Be sure to download the Tucson Festival of Books app and look for us in booth #239! Scott Whiteford and Ilan Stavans at 11:30–12:00 p.m.
William Sheehan at 12:00–12:30 p.m.
Gary Stuart and Mario García at 12:30–1:00 p.m.
Maritza Cardenas and Michelle Tellez at 10:00–10:30 a.m.
Lawrence Walker and Frederick Landau at 12:00–12:30 p.m.
Carlos Vélez-Ibáñez, Luis Plascencia, and Gloria Cuádrez at 1:30–2:00 p.m. 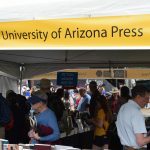 The Tucson Festival of Books is from 9:30 a.m. to 5:30 p.m., March 2–3, 2019, on the campus of the University of Arizona. See tucsonfestivalofbooks.org for the complete schedule of events.